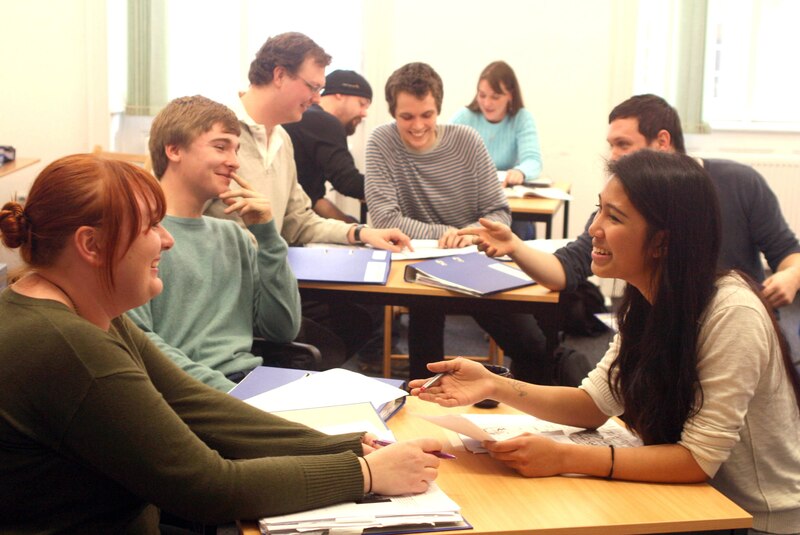 Oxford TEFL > Blog > Careers > Native English speaking teacher: is it essential to work in TEFL? Native English speaking teacher: is it essential to work in TEFL? It’s not just native speakers who speak English – anyone can do it if they put their mind to it. English is not the property of native English speakers, it is the language of the world and a language of international communication. Approximately 359 million people speak English as their first language and an estimated 470 million to more than 1 billion speak it as their second language. Non-native English speaking teachers often have great strengths as teachers, deep grammatical knowledge, they have had to learn language the hard way and they can understand the endeavors of the students. So why do employers deny their students of some of the best and most motivational teachers available when choosing native speakers of English as their teachers? That’s actually not true: not all employers favour native English speaking teachers. So as a recruiter of teachers, what type of factors are taken into account before employing someone? Most employers will look for demonstrable language proficiency, and an accredited TEFL certificate such as the Trinity Cert. TESOL. In some cases, one of the more advanced teaching qualifications, the Trinity Dip TESOL, are also required if the teacher is applying for a more senior position such as a teacher trainer or Director of Studies position. Personal qualities are also taken into account by employers. I have seen evidence that students value personal qualities greatly. Employers will also consider whether the teacher will fit into the school with other team members, if they have a good track record teaching, good feedback from students, are polite and friendly, and a person who communicates fluently and accurately in English. In many cases, where a person is born doesn’t factor in the decisions of employers. I would suggest employers take a balanced view when hiring teachers, and remember: being a native speaker is not equivalent to teaching ability. Being a successful teacher doesn’t rely on being a native English speaker either. Non-native English teachers must be very dedicated to English and to their work, and many feel they have to try harder as English is not their mother-tongue. Perhaps some have seen adverts for jobs, requesting native English speakers. They are serious about their professions whereas many (not all) non-native speakers teach English in order to travel around the world, seeing teaching as a way of funding a lifestyle for a while and less so as a profession. Many senior teachers, teacher trainers and Directors of Studies are non-native English speakers and are very dedicated to their job. So if all the above is true, why is there still so much prejudice? Do students complain if they have a non-native English speaker as their teacher? Some do, yes, though this will depend on the country and how readily available good native English speaking teachers are. There may also be some cultural excitement when it comes to having a teacher from the country of which the student is studying the language. This teacher might be able to tell the students about life in Britain, for example, which the school or students may value. However, we should also have the humility to acknowledge that no native speakers have experience, or understand all aspects of the culture to which they belong. In our language school, Oxford House Barcelona, our reception staff are trained to explain to any student who asks if their teacher will be a native English speaker, that they will be trained in TESOL and have a very fluent use of written and spoken English. In general, our students are happy with that, and these teachers receive great feedback. But you can see why a problem may arise if the school doesn’t make an effort to explain this to a student. As educators, shouldn’t schools take the responsibility to change the expectations of the industry? The mantra of ‘Students prefer native English speaking teachers’ has become so deeply ingrained that many have forgotten to question it’s validity. We are educators, and we can influence and shape the market if we choose. As Oxford TEFL director Duncan Foord explains in this video interview, the profession of TEFL is about breaking down barriers and bringing people together. Shutting people out or telling people they can’t do something is against the idea of teaching people English. Are you thinking about starting a career in TEFL? Are you a native / non-native English speaker who would like to teach English? Find out more about our Trinity Cert. TESOL course here or get in touch. This entry was posted in Careers, News, TEFL, TESOL, Uncategorized by Fran Austin. Bookmark the permalink. It’s an interesting point to make. When I took the CELTA, one of my colleagues was a non-native speaker – from Denmark and I remember feeling somewhat inadequate compared to her knowledge of English grammar. As non-native teachers have learned the language themselves, they have a different perspective and insights on how to teach which can be very valuable for students. However, there are certain things that non-native teachers can struggle with. Here in Germany, I know learners who speak near perfect English in all aspects but still struggle with certain prepositions. My CELTA colleague, despite being an excellent teacher, lacked a knowledge of more colloquial vocabulary. Like you mentioned, business students here in Germany often expect a native teacher. I would say that non-native teachers can be just as good as native teachers, but in certain situations such as with lower-level learners or those who never have contact with native speakers. To put it simply, there’s both pros and cons for both native and non-native English teachers, which is reflected in your comment. Thanks for your input, David!